Browsing articles in "Meet Your Neighbor"
A study by the American Youth Horse Council found that equestrian activities have a direct affect on enhancing a range of life skills in children. Children are naturally attracted to horses and they make wonderful childhood companions. They help children build character in addition to providing some healthy benefits like increased balance, coordination and flexibility. 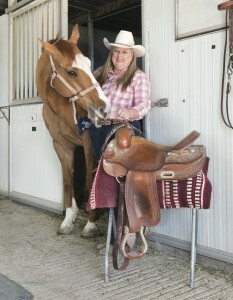 Resident Kathryn Davis grew up in Irvine, California where her family kept horses at Irvine Park. She and her sister made lots of friends who loved animals and her experience with horses throughout her youth provided her with a loving, learning and yes, stable environment. 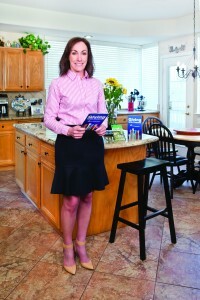 When she moved to Las Vegas, she looked for a place that her children would have a similar experience. Little did she know that she would end up with three horses of her own and be looking for a place to live with them. The Las Vegas Riding Academy was the perfect solution. Davis is the owner and instructor of the facility which offers kids an opportunity to learn to ride, care for and develop a passion for animals and the great outdoors. Most of the horses Davis uses for her lessons have been rescued and she supports organizations that not only save horses but provide other services like therapeutic riding for kids. 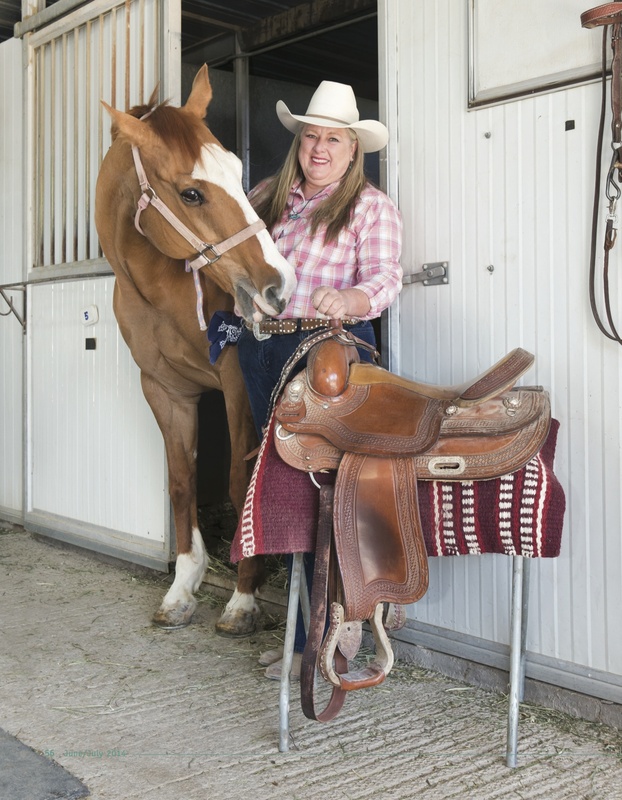 She is passionate about an organization called Spirit Therapies, which assists physically, mentally and emotionally challenged children by connecting them with trained therapy horses, certified instructors and compassionate volunteers. Kathryn Davis talks about her dream of creating a facility with horse camps, play days and therapeutic riding for handicapped kids. She also discusses what children of today can learn from the experience and how her own mother was influential in her love of horses. Tell us about your dream of creating a facility that includes therapeutic riding. What do you hope kids will learn from the facility? Tell us about your support for organizations like L.E.A.N., Shiloh Ranch in Sandy Valley and Spirit Therapies. What or whom do you think was the biggest influence in your love of horses? Opening a new business is never easy, and focus tends to be on getting all the operational aspects in line (dealing with construction, décor, hiring employees, ordering supplies and so much more). 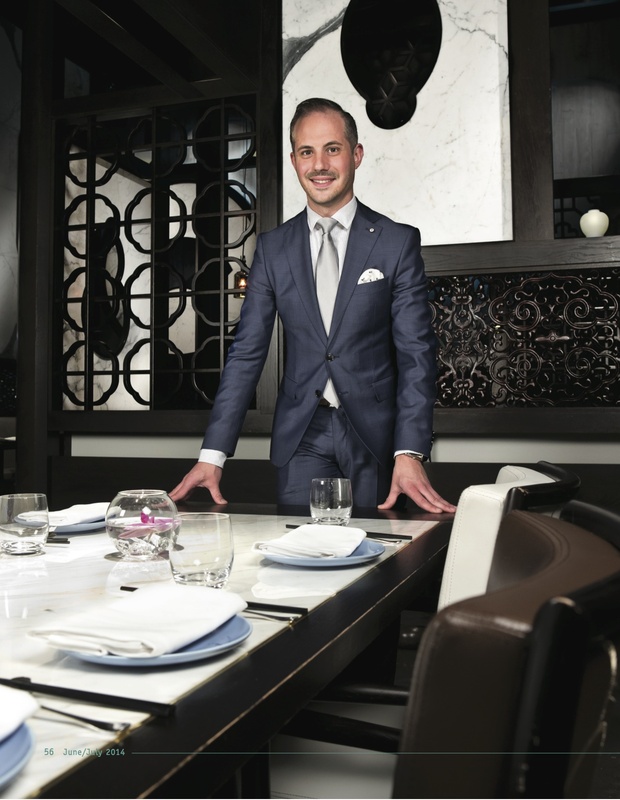 So, it’s pretty rare for a brand new business to immediately incorporate a community outreach initiative in the first year, but 89074 resident Yannick Augy, General Manager of Hakkasan Las Vegas Restaurant & Nightclub was instrumental in making it happen. Since opening in May 2013, giving back to the community has become very important to the organization, leading to the development of Hakkasan’s overarching local non-profit program, “Hakkasan Gives Back.” Augy and the team set out to identify a partner the company could relate to in the food service and hospitality industries, and found Three Square Food Bank, a non-profit committed to feeding the community with quality meals. Augy has had a passion for food and dining since growing up in the Loire Valley of France. His grandmother first introduced him to the restaurant business at age 13. He gained his education at Jacques Cocur, culinary school in Borges, France and completed a Master of Hospitality Management and Tourism Accounting from the University of Angers. His diverse training included being a Demi-Chef at the Michelin-starred Le Clos des Sens at the Châteaux & Hôtels de France and Assistant Maitre D’ at Hostellerie le Phébus at Relais & Châteaux. Augy worked at a number of high-end hotels throughout France, the United Kingdom and Monaco before coming to Las Vegas where he took a Food & Beverage position with the MGM Grand Hotel Resort & Casino. He later joined Hakkasan Las Vegas as Assistant General Manager where he worked to open the venue and, just a few months later, became the General Manager. Yannick Augy shares his experiences with Hakkasan Gives Back and his other accomplishments. What is it like being involved with Three Square? What are some of the initiatives of Hakkasan Gives Back? What are you personally most proud to have achieved? You’ve also received a few awards along the way for your efforts. Any life inspirations or quote you’d like to share? It’s safe to say that no parent would intentionally put their child in front of a shark…or would they? Parents and teachers alike were thrilled to let their 5th graders from Henderson International School present to a group of judges affectionately known as the “Shark Tank” as part of a fundraising activity to decrease poverty and combat childhood diseases in the community. Their efforts were in conjunction with a national organization called Change for Change, under the direction of 89052 resident Chris Bezsylko, who happens to be both their middle school principal and preschool through eighth grade curriculum director. The organization’s mission is to help empower young adults to create big changes. In this case, students created real-life business concepts designed to fight poverty and disease and presented them to the “tank” of investors for a possible total of $750, which was invested in the winning businesses as start-up capital. Bezsylko began his education career as a teacher in inner city Philadelphia and later left to become a full-time educational consultant. 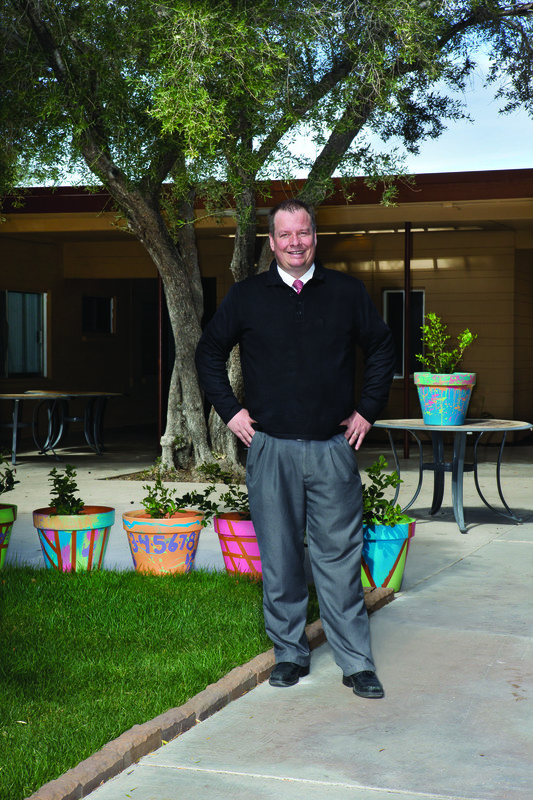 Although he spent four years traveling across the country and working with many educators, he missed being part of a school community and seeing his students grow. He went back to teaching and earned a Master of Arts in private school leadership through the Klingenstein Center Teachers College at Columbia University. 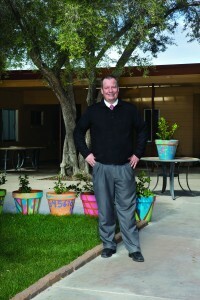 He began his career as an administrator and later moved to Las Vegas. 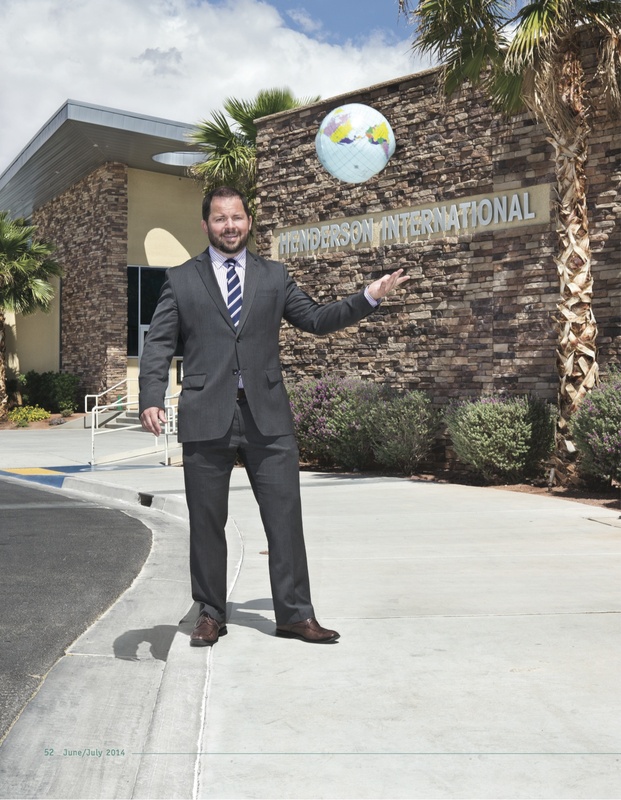 His mission for Henderson International School is not a common one. Their goal is to develop and nurture life-long learners who are prepared to work and support others, making service the primary purpose of education. Bezsylko talks about the school’s efforts with a variety of charitable organizations, his personal experiences through their support of Change for Change and unplugging after a busy day. Tell us about the mission of the Henderson International Schools. How was the school involved with Change for Change? How does the “Change Project” work? Any experiences you’d like to share? What other organizations does the school support? What are you most proud to have accomplished? How do you de-stress after a busy day? How long have you had your computer? According to the folks at the Encyclopedia of Earth, the average life expectancy of a desktop today is around 3-5 years, depending on use, and the amount of computer waste increases annually as electronic systems play a progressively more important role in all aspects of technology. So, the question arises, what exactly should you do with your old computer? Resident Jim Brock has the answer: give it to him. More specifically, give it to Computers4Cause, Brock’s nonprofit organization, which fixes computers, wipes the hard drives and restores factory settings in order to give them to those in need. Brock knows a thing or two about computers. He “officially” retired at the age of 38 after selling one of his telecommunications businesses to Nextel. 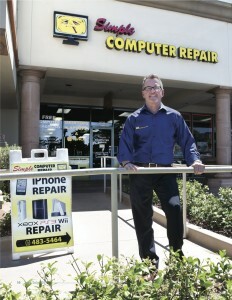 Being too young and restless to settle into retirement, he started Simple Computer Repair to fill a void in the marketplace. 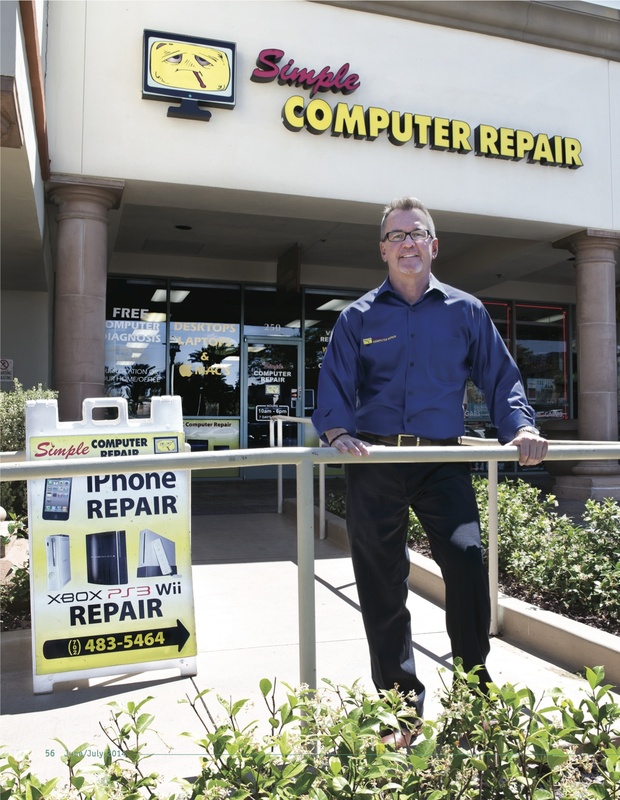 He created a neighborhood repair store dedicated to three principals: No speculation, no opinions and no geek speak – just a flat rate repair model with a free diagnosis. By creating an alternative to the big box stores, Brock put himself in direct contact with the community and has provided a real service for individuals and neighboring businesses. Through his simple repair business he recognized the need to provide technology to individuals, businesses and charitable organizations who couldn’t afford it, but also to help customers who just didn’t know what to do with their old models. With microchip development becoming so rapid, users are able to purchase computers that are twice as powerful at the same price as those currently available about every 18-months, hence, a more rapid turnover of used computers. Brock talks about creating Computers4Cause and how it’s making a difference. Tell us about Computers4Cause and how it helps others. Any experiences through Computers4Cause you’d like to share? How can people or organizations apply for computers? What does giving back to the community mean to you? Of all your accomplishments, what are you most proud to have achieved? Any life inspirations or a favorite quote that you’d like to share with others? Passion means many things to many people. For resident Matt Smith, it is synonymous with family, and helping people through the rehabilitation services provided at his physical therapy clinics. Smith owns and operates 13 facilities and manages four more throughout the state. 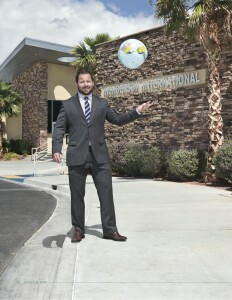 He has become the largest provider in Nevada for physical therapy. Their cultural mantra of “changing lives” and helping the patient as well as those in need throughout the community is number one. Smith’s lifelong career began from a devastating accident that left a high school friend a paraplegic. While accompanying his friend to physical therapy, Smith was impressed by the therapists’ commitment to the work and how they were making a difference in the lives of their patients. It was then he decided to become a physical therapist. Throughout his practice he has met many people from all walks of life and circumstance, which has been the catalyst in becoming committed to supporting the community. Matt Smith Physical Therapy Centers interact directly with those in need by supporting a variety of charitable organizations. Funding drives which involve the staff and patients at each of the therapy centers are held on a quarterly basis. From feeding the hungry and sheltering the homeless to starting a scholarship program for at risk kids, Smith and crew are living true to their customer-centric culture. While Matt finds success difficult to define, he has much to be proud of, first and foremost his family, which includes wife Kami and his four children, Christopher, Alyssa, Sophia and Jaxon. We had an opportunity to talk with him about his charitable efforts and learned about some of his out-of-the-ordinary hobbies which just might include an upcoming safari trip to Africa. Tell us about the charitable organizations that you support. Any experiences through your charitable efforts that you would like to share? What are you most proud to have achieved? We understand you also have some unique hobbies? Imagine what it would be like to travel to another country without knowing anyone and with nothing but one suitcase and a twenty-dollar bill in your wallet. For many of our ancestors, this tale rings true as their first trip to America. For 89135 resident Barbro Eastling, it’s exactly how she entered her new home in the United States in 1966. Barbro grew up in Western Sweden with two younger brothers. At the age of fourteen a teacher encouraged her to contact a pen pal in order to refine her English skills. Not only did Barbro become fluent in English, she has remained friends with her pen pal to this day. In her early twenties she made the trip to America by securing a position as an au pair in Los Angeles. Eventually she took a position with the Swedish Consulate there, and served as the Swedish Consul to fifteen Western U.S. States for thirty years. During that time she met and married her husband Wendell and was welcomed by his son and daughter into the family. In 1992 she proudly became an American citizen. 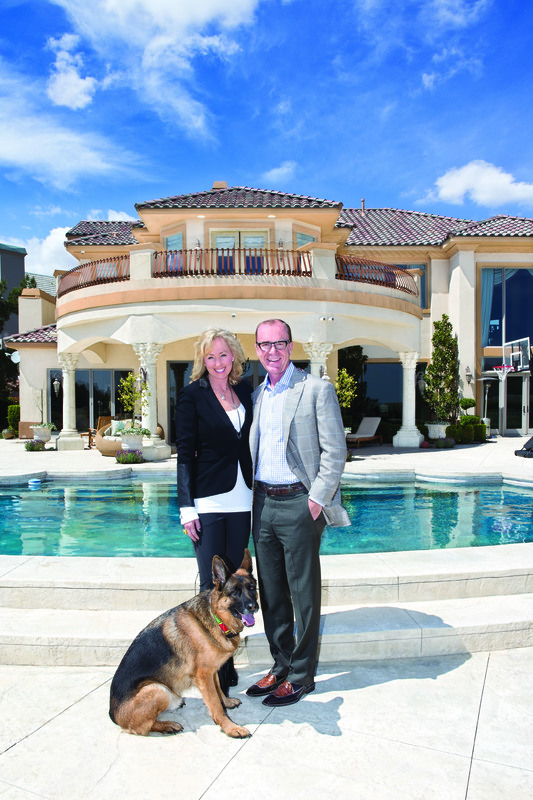 A few years (and earthquakes) later, the family moved to Las Vegas. 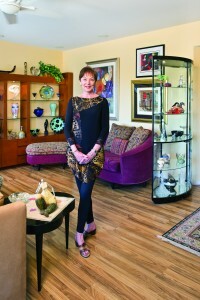 Barbro wanted to become involved in her new hometown and discovered the Women’s Club of Summerlin (WCS). After a luncheon with members of the organization, Barbro became a member in 2000 and has been very active ever since. Using her meticulous organizational skills and creativity, she continues to chair and co-chair on the many raffle/silent auction committees for the group’s Annual Charity Event. For all of her efforts, Barbro Eastling was given the WCS 2013 Award of Excellence. She talks about her work with the group, coming to America and being a consul to so many other newcomers to the United States. Your work with the Consulate General of Sweden must have been memorable. Tell us how you became involved in the Women’s Club of Summerlin. Any other organizations where you are involved? Is there a mentor in your life? For many of us, it is the influence of these special people that are responsible for pushing us toward a path that we might not have found on our own. Resident Shari Exber-Scheele is a Las Vegas native that credits Principal Rick Watson for encouraging her to become the best possible teacher. Mentoring comes full circle as Exber-Scheele is also the inspiration for many of the students she has taught throughout her twenty-year career as an elementary school teacher in the Clark County School District. Shari was born and raised in Las Vegas, and it was a bit ironic that her first teaching assignment (as a student teacher) was at Howard Wasden Elementary, the school she attended as a child. After teaching at a variety of schools throughout the district, she was ready for a new challenge and, as sad as it was to leave the classroom, Exber-Scheele found a new role within our local education system that has become even more rewarding. For the last decade Shari has continued to make sure all children in our community receive the very best public education as the Senior Vice President of Development and Community Relations for The Public Education Foundation. She is responsible for raising awareness and funding for the nonprofit organization that supports education reform and initiatives to improve public education. We talked with Shari about her passion for putting opportunities within reach of our children to obtain higher education, as well as influencers within her own education and career, and why giving back is a necessity for the future growth of the community. You’ve made a lifetime commitment to improving public education. Who was your mentor and how did they make a difference? What are your current projects through the Foundation? Any experiences through your efforts with the Foundation you’d like to share? Why is it so important to give back to the community? Of your many accomplishments, what are you most proud to have achieved? Is there any specific inspiration you live by? (702) 799-1042. Follow the Foundation on Twitter @ThePEFoundation. Unlike the title of the 1992 movie, there are more than “A Few Good Men” and 89117 resident Jason Gerber is one of them. The attorney at Marquis Aurbach Coffing (MAC) currently handles corporate, business and civil litigation, but once upon a time he was an officer in the United States Army Judge Advocate General’s Corps (also known as JAG, and yes, also the central theme of a few hit television shows). During his time in the army he became the sole trial defense counsel (defending soldiers being court martialed) in California at Fort Irwin. Gerber was deployed to Camp Taji, Iraq as part of Operation Iraqi Freedom in 2004 and 2005. He represented hundreds of soldiers in court martial and administrative proceedings in the United States, Kuwait and Iraq. Upon his return to the states, he married his wife Tammy, completed his active duty service and was hired by MAC. 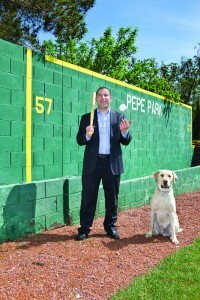 After working his way through the legal ranks, he was promoted to Director, and now Shareholder, at the firm. While he’s dedicated his life and career to helping others, he continues to support those in need through several local organizations. In his early days at the MAC law firm, his wife volunteered for Camp-to-Belong, which helps bring siblings separated in the foster care system together for a week of bonding. While at the camp, Tammy met a sibling group of three, Josh, Kyla and Skyler and fell in love with them. When she came home, the couple began proceedings to become foster parents and to adopt the children. Their adoption was finalized in 2012 and they’ve become one big happy family, along with their three dogs Pepe, Gus and Grover. Jason Gerber talks about their work with foster care services, Red Rock Rotary of Las Vegas and his other passion—the Cleveland Indians. You’ve become very involved in organizations that assist foster care kids. How did you become involved with Red Rock Rotary of Las Vegas? Other than Red Rock Rotary, how do you and your family support local charities? We hear you also built a house for a family in Mexico? In your spare time what do you enjoy doing? So, how about those Cleveland Indians? It’s hard to believe that it’s been over twenty years since the world learned a new language…the SMS (short message service) or text message. AAMOF (As a matter of fact) over six billion texts are deployed each day in the U.S. according to Forester Research, with a whopping 8.6 trillion annually sent on a global basis. Of these messages, Pew Internet Research indicates that 75% of teens use text messaging and on average send 60 messages per day. The numbers continue to grow and with more children with access to mobile devices, it is imperative that parents and kids be aware of potential problems. 89123 resident Diana Weeks, a Client Relations Manager with Imagine Communications is making a difference in the community by volunteering her time to a number of causes, including SM@RT Connections, an organization that works under the umbrella of the Henderson Community Foundation. The organization’s purpose is to help educate parents and children about the dangers of the Internet, sexting and how to become good digital citizens. The nine year resident is active in the community, not only through her work with Imagine Communications and the clients she assists, but also as an important part of her faith. While SM@RT Connections is an organization that’s close to her heart, she also makes time to help others through her church, where she teaches Sunday school and she and her husband Eric manage the church’s bus ministry to transport kids from lower income communities to church each week. Diana Weeks talks about her philanthropic efforts and why working with organizations that assist children are especially important. How did you become involved with SM@RT Connections? How do you assist the group? If you weren’t in your present career, what other job would you like to do? They say that everything old becomes new again. For instance, retro t-shirts are the newest rage. Remember the ones you may have collected with your favorite band like, The Rolling Stones or The Who? New stores have popped up and specialize in just these shirts. 89074 resident Kevin Morss wears a t-shirt that some might think of as a retro notion, but today seems more important than ever. On days when he’s not in his office at WestCare of Southern Nevada, (a family of tax-exempt nonprofit organizations which provide a wide spectrum of health and human services in both residential and outpatient environments,) you’ll see him wearing a shirt that says just two words…Be Kind. Kindness was a common courtesy that seems more prevalent in earlier days, but the word is spreading through a kindness revolution. Kevin Morss is committed to the tagline—not just by wearing the shirt, but by living the message. Kevin began his career with WestCare as an Outreach Worker, targeting high-risk youth. Each night he’d map the streets of Las Vegas talking to homeless kids about the services they offered at WestCare. Throughout the years he’s worked diligently with various populations and in a multitude of positions within the company. Throughout his travels he’s met many people that have increased his involvement in the community through innovative organizations and people working in social services. Through those associations he became involved with the Josh Stevens Foundation. An organization that honors the memory of a boy who lost his life just before his 13th birthday by carrying on his legacy for kind acts. Morss tells us about his commitment to community-based non-profit programs and why he’s part of the Kindness Revolution. At WestCare the motto is “Uplifting the human spirit.” How do you accomplish this? What type of services are offered at WestCare? That alone must keep you busy, but you’ve also become very involved in the Josh Stevens Foundation? What’s the mission of the Josh Stevens Foundation? Any inspiration or advice to others you’d like to share?